A team of researchers from CSIRO’s Data61 and their robots are heading to an abandoned gold mine in the Colorado mountains this weekend, to take part in an exercise run by the US Defense Advanced Research Projects Agency (DARPA). The integration exercise is a warm-up for DARPA’s Subterranean Challenge, which sees nine teams from around the world send their robot systems into underground environments to search for, detect and return the precise location of a number of ‘artifacts’. The artifacts include human survivors (mannequins), electric pumps, backpacks, cell phones, fire extinguishers, power sources and gas leaks. The teams will be scored on their systems’ ability to “provide rapid situational awareness through mapping of the unknown environment”, find the artifacts, and send updates back to a base station “in as close to real-time as possible” according to recently released DARPA documents. 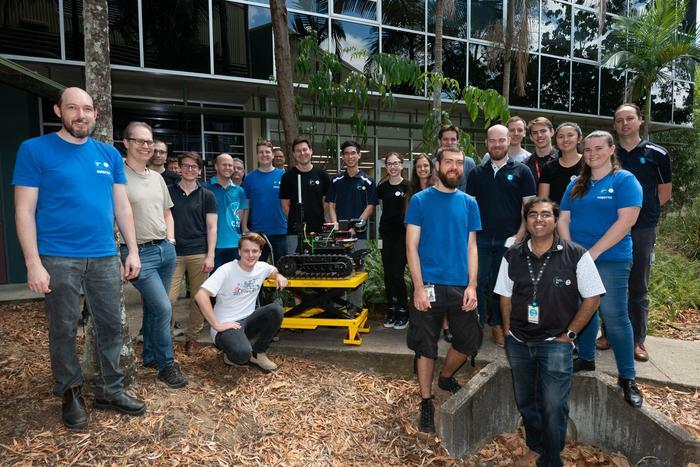 An Australian-led team – made up of 30 researchers from Data61’s Robotics and Autonomous Systems group, QUT, the University of Queensland and the Georgia Institute of Technology – was named in October as one of the competitors in the three year contest. This weekend they will be heading to the Colorado School of Mines Edgar Experimental Mine in Idaho Springs, which in the 1870s – the era of the ‘Rush to the Rockies’ – was a working gold and silver mine. The exercise in what DARPA calls the “dark and dirty corridors of Edgar” is an opportunity for the teams to test out their kit, ahead of the first proper heat in September. “Essentially we take all of our robots and system over to the US, set them up and test them in an environment that’s very close to the tunnel circuit event. So it really gives us an opportunity to really check that everything’s working, gives DARPA an opportunity to see that we’re on track development-wise and gets us prepared for the event in August,” Fred Pauling, leader of Data61’s Robotics and Autonomous Systems group, told Computerworld. The overall challenge consists of three domains: tunnel systems, urban underground and cave networks. “The primary scenario of interest for the competition is providing rapid situational awareness to a small team of operators preparing to enter unknown and dynamic subterranean environments. Potential representative scenarios involve rescue efforts in collapsed mines, post-earthquake search and rescue in urban underground settings, and cave rescue operations for injured or lost spelunkers,” DARPA said in its competition papers. “These scenarios present significant dangers that would preclude employing a human, such as collapsed and unstable structures or debris, presence of hazardous materials, lack of ventilation, and potential for smoke and/or fire,” the agency added. The Australian team will be using a number of robot platforms to complete the subterranean missions including a robot that moves on tank tracks, and a six-legged ‘hexapod’. Much of the preparation has taken place at the team’s new Brisbane test facility, ‘The Ric’ which launched in March. The bots will be fitted with LIDAR system consisting of a small processor and a spinning cylinder, about the size of a can of beans, which emits 300,000 laser beams a second. The system generates a ‘3D point cloud’ which allows the drone or robot it is mounted on to move around without GPS and not crash. The researchers are currently refining a method of compressing the map images and sending them from the underground robots to the surface via battery powered ‘deployable communications pucks’ dropped along the route.